While serving his fifth year of a nine-to-life sentence for murder, Leon Hymes was transferred from Division For Youth to the Department of Corrections. The move from one location to another was a cold dose of reality of growing up from childhood to adulthood within the criminal justice system. It also marked the beginning of a six and a half year stretch in which Hymes wouldn’t see his mother. The time apart from his family—seventeen years behind bars–shaped how he connected to his family and forged his relationship to the world. In December 1990, 15-year-old Hymes was arrested for shooting and killing a man at a party at his girlfriend’s house in the Bronx. He was convicted and sentenced in 1992 having already spent almost two years in Spofford Detention Center in the Bronx. 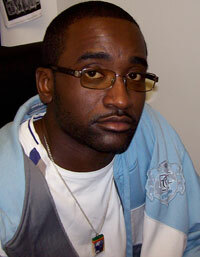 But as an older juvenile inmate Hymes enrolled in a mentorship program to help younger inmates. Though not a model prisoner–he was denied parole four times–he says that trying to provide younger inmates with the guidance that he didn’t get gave him purpose and kept him going. Now home for almost two years he’s reconciled family relationships and helps run Choices, an alternative-to-detention program for at-risk youth. When the U.S. Department of Justice released a scathing report last summer exposing horrid conditions inside NY’s youth detention facilities, from excessive restraining measures to overmedication and misdiagnoses, Hymes could relate. SHARE YOUR THOUGHTS: How have you tried to help an adolescent family member adjust to live outside of a juvenile detention center? Michael Cohen is a student at the CUNY Graduate School of Journalism, graduating in December 2010.